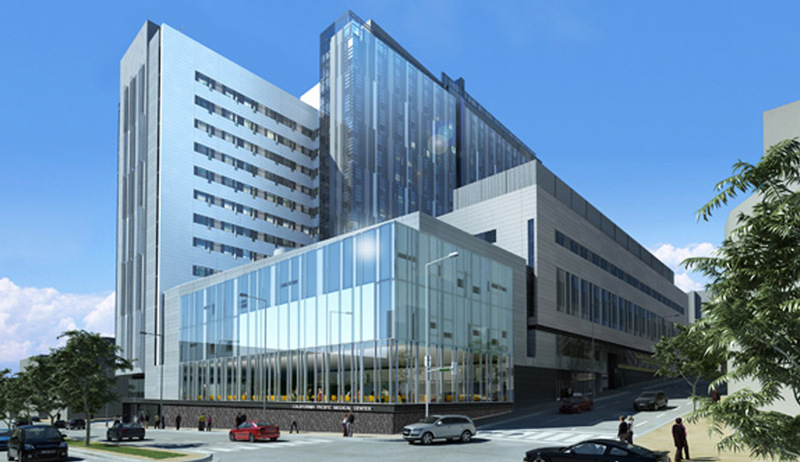 The California Pacific Medical Center (CPMC) initiated a master plan for each of its existing four campuses in San Francisco and a new fifth campus on Cathedral Hill. CHS has been CPMC’s transportation consultant since 2000. Institutional Master Plan – CHS worked with the project architectural team and the project sponsor in the assessment of site access issues, opportunities, and constraints for the Pacific, California, Davies, St Luke’s, and the new Cathedral Hill campuses. CHS prepared detailed analyses, including employee, visitor, and patient travel behavior surveys, truck loading deliveries for the four existing campuses and forecasts for the four future campuses, micro-simulation modeling for the site and the ingress/egress for the Cathedral Hill campus MOB and parking/loading needs and ingress/ egress design. Existing Operations – CHS provided an assessment of the existing transportation deficiencies and developed potential operational improvements that would improve passenger pick-up, drop-off activities, loading, parking, and shuttle bus operations. Transportation Demand Management (TDM) Program – CHS conducted employee, patient, and visitor parking surveys and, based on survey results, prepared an aggressive transportation demand management program for each campus. At the request of the San Francisco Planning Department, CPMC hired another transportation consulting firm to conduct a peer review of the proposed TDM program for the Davies campus and it was concluded that the CHS proposed TDM program was reasonable and effective. CHS also worked with CPMC staff in planning for TDM implementation.